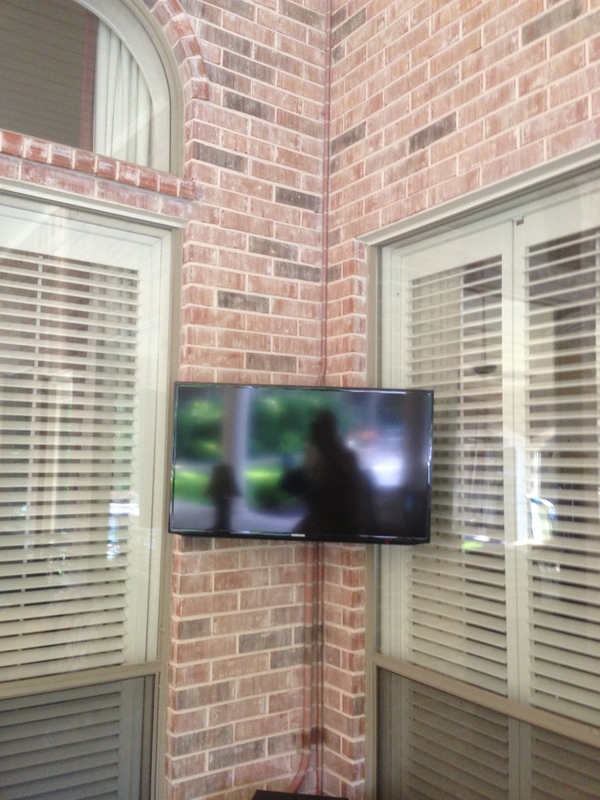 Yesterday we mounted a TV on a clients patio. We installed the piping above and below and even painted it to blend in with the brick. The cost for this project was just under $600 for mounting the TV and running power and cable line down the pipe. The 40″ TV, wall mount bracket, and final cable hook-up was not included. Costs may vary, call for an estimate. Carl Pfeiffer is an Angie's List A Rated Remodeling Contractor providing high quality kitchen and bathroom projects. He is a Former Home Inspector and is a fully Licensed and Insured general contractor with over 15 years of experience. Craftsman Connection, LLC has received the Angie's List Super Service Award in multiple categories in 2010, 2011, 2012, 2013, 2014, 2015, 2016 and 2017.